A guest post by Madame Delors with interesting reflections about the historical background of her new novel For the King . 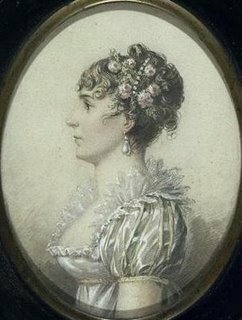 Josephine is 37, six years older than her husband, and the Bonaparte siblings, who hate her, calls her la vieille (“the hag.”) In fact she looks rather younger than her age, a gracious, elegant brunette. What about the state of things between them? Sadly, the romance is gone. Oh, Napoléon was utterly smitten in the beginning of their marriage, but within a few months of the wedding, while he was waging war in Italy, she dashed his illusions by taking a lover. He retaliated in kind, and a string of mistresses ensued. Now she is the one who is jealous. There are a few other clouds on the horizon: Bonaparte would like a son and heir, but a middle-aged Joséphine shows no signs of fertility. 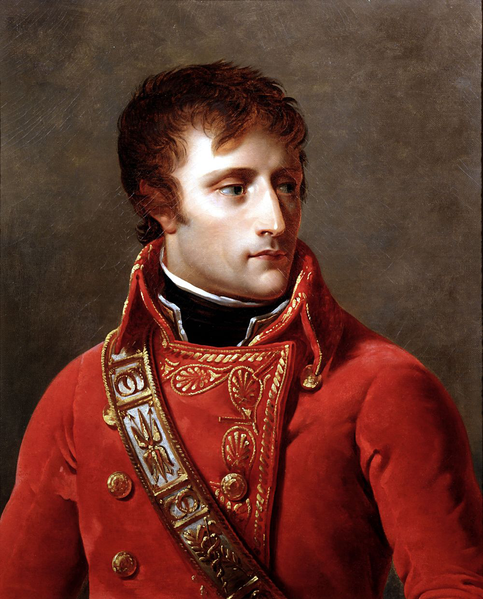 Yet Bonaparte’s immediate concerns are to consolidate his grip on power, not –quite yet- to establish a dynasty. There is also the small matter that Joséphine receives enormous sums, 1,000 francs a day, from Fouché, the redoubtable Minister of Police, to spy on her husband. If Bonaparte knew about this, he would not take kindly to this new kind of betrayal, but the important thing is that he doesn’t know. The truth of the matter is that Joséphine is a compulsive spender, far more so than Marie-Antoinette ever was, and that she is always in debt in spite of the generous stipend she receives as the wife of the First Consul. Bonaparte cannot comprehend where all that money goes, and she dreads asking for still more to pacify her creditors. This too creates great stress in their marriage. I guess being 37 was considered an old hag in those days.